With just a couple of months to go for the much anticipated season of the Indian Super League of this year, the Orange Army seems to be in a bit of trouble. Their head coach, Antonio Habas’ future remains uncertain with the club and if reports coming out of the Maharashtrian city are to be believed, the Spaniard is amid talks to part ways with the ISL franchise. The whispers going around, state that Antonio seemed to have had a conflict with the officials of the club and the owners regarding various issues. 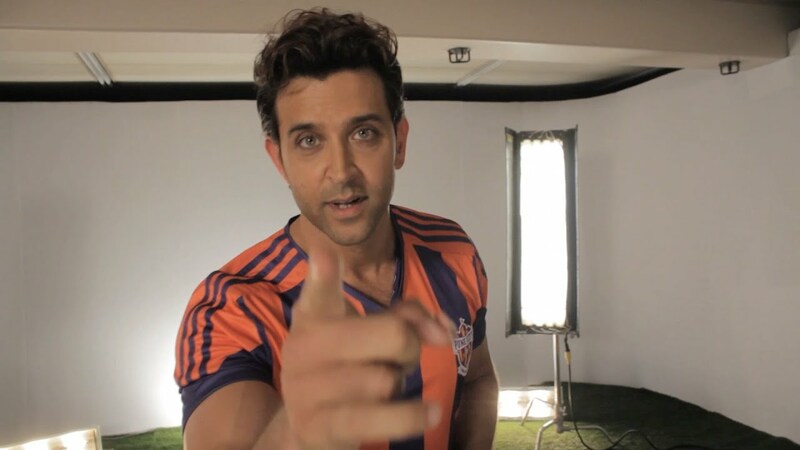 Alongside coach Habas, we can confirm that big time Bollywood star and co-owner of FC Pune City, Hrithik Roshan has also decided to cut all ties with the club. Hrithik’s exodus as the icon of the club will be seen as a massive setback for the club from the financial and business aspects. The forty three year old ZNMD star has been affiliated with the franchise from Pune for last three editions of the ISL and was seen in the stands of the home crowd at Shree Shiv Chhatrapati Sports Complex, Balewadi Stadium on numerous occasions, flaunting the club’s orange and purple shirt at FC Pune City's home fixtures. Roshan’s team of representatives and officials from the club were not available to comment on the matter, and therefore as of now, the fans remain in the dark on as to what exactly it is that went wrong between Mr. Roshan and the partners at the Wadhawan Group to cease and diminish the partnership between the two parties. On the basis of smart business in the transfer market, FC Pune City were being claimed to be one of the top favourites to win the 2017 edition of the ISL, by many. Not only did they sign an arsenal of talented Indian youngsters, but they also clinched last year’s Golden Boot winner, Marcelinho from right under the noses of the Delhi Dynamos after the Brazilian’s financial rift with the Delhi based ISL franchise. To add to the squad, Pune acquired the services of former Bernabeu midfielder, Marcos Tebar. However, if the news of Antonio Habas not being a part of the club’s camp setup ahead of the season is true, it will certainly turnout to be a huge blow for the franchise to recover from. In the case of both, Hrithik Roshan and Antonio Habas choose to walk through the club’s exit doors, the franchise will face a rather difficult time – not only on the football pitch, but off of it as well. Sixty year old Habas is an experienced personality in the Indian Super League and knows the minutiae of the competition, while Roshan attracted a number of top flite brands for sponsorships and endorsements to the club. In order to perform on the field and challenge the top clubs in the tournament on the field, Habas definitely plays the role of an important asset for the Orange Army and the same goes for Hrithik with the role he plays behind the scenes in making the club financially sustainable. If Pune lose this vital pair this close to the commencement of the season at this given time, replacements for the two will be beyond difficult to rope in, on such a short notice!